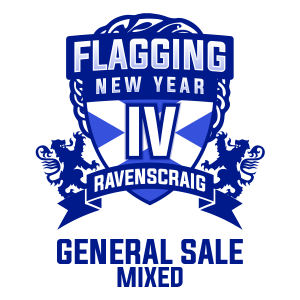 Flagging New Year is returning and to a new venue! The new venue allows us to expand the size of the tournament as it has longer opening hours. The Mixed/ Men’s bracket will be the same as the previous two years, 24 teams battling it out to be Flagging New Year Champs! However we now add the women’s bracket on the same weekend, 12 Women’s teams will do battle to become the first ever Women’s Champions! First kick off on the Saturday, will be 8:30am, the final will kick off at 7:15pm on the Sunday. All teams that attended FNY in 2018 will be given an opportunity to register before all other teams by 2 hours. Once pre-sales are closed remaining spaces will be calculated and will be made available for sale. General Sale will be Thursday 28th June at 8:15pm, providing we have spaces left. We want to reward teams who have attended previously an opportunity to register, rewarding the loyalty teams have shown in helping build this in to the event it has become! Women’s general registration will open on Thursday 28th June at 8pm.